What's The Lifespan Of A Video Surveillance System? | Calgary Alarm Inc. 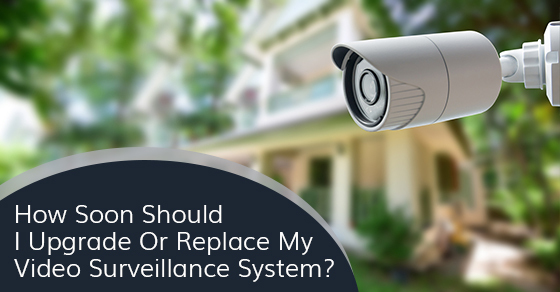 Homeowners are increasingly realizing the benefits of installing a residential video surveillance system. However, the biggest concern for consumers adopting new technology-based products, such as home security systems, is how long the device can serve them before it becomes outdated. Consumers expect that their new surveillance systems featuring the latest technologies will remain relevant and practical for the next few years. So, how long can you expect your new system to last until it needs replacing or upgrading? Cameras that feature rube sensors typically last 1‒2 years. However, this old technology is rarely found in modern consumer security cameras. The vast majority of consumer security cameras on the market feature CCD (charge coupled device) sensor cameras with an incredible lifespan of 5‒25 years. IR (Infrared) cameras allow you to extend your surveillance to low-light and dark conditions. These cameras typically rely on CCDs for image acquisition. This implies that they have the same life expectancy of 5‒25 years. IR cameras with LEDs (light emitting diodes) are designed for surveillance in mostly dark situations since they illuminate their field of view. Most LEDs have a life expectancy of 20,000 hours, which translates to 2 years of 24/7, year-round use. However, the cameras will continue to function in well-lit areas even after the LEDs burn out. If an LED burns out or another component gets damaged, it can be easily and cost-effectively replaced to keep your video surveillance system working. Usually, the biggest cost—after purchasing the digital video recorder (DVR) and other security equipment—is the wiring installation. So, you don’t have to worry about the cost of maintaining your system. Ten years or so ago, you security system would have easily lasted 10 years with basic maintenance and virtually zero replacements. Today, consumer expectations have changed, and everyone expects high-tech devices. The problem with these devices is that they have components that wear sooner and need regular replacements, as described above. Moreover, these components become outdated much faster, making it harder to repair or replace them. As such, modern video surveillance systems are designed with shorter life cycles to satisfy the changing expectations of consumers. Manufacturers have to factor in “progressive migration” in today’s ever-changing and highly technology-dependent environment, and keep their products relevant to the market. This does not necessarily mean that your system will stop functioning after 2‒3 years, but you can expect future systems to feature new designs and more advanced technologies than in the present. You can always upgrade the key components if you need any new features.